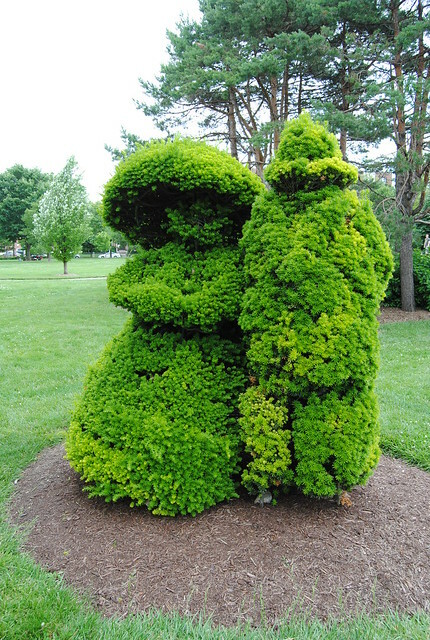 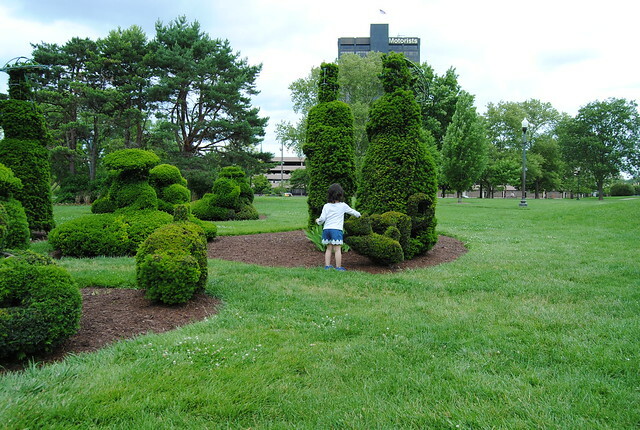 Topiary Park recreates the scene depicted in Georges Seurat’s famous painting A Sunday Afternoon on the Island of La Grande Jatte. 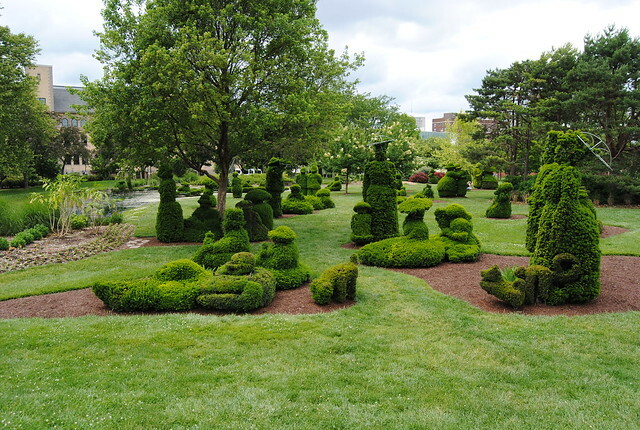 The art installation was officially dedicated in 1992 and consists of 54 people, eight boats, three dogs, a monkey, and a cat, all in the form of topiary sculptures made of yew trees. 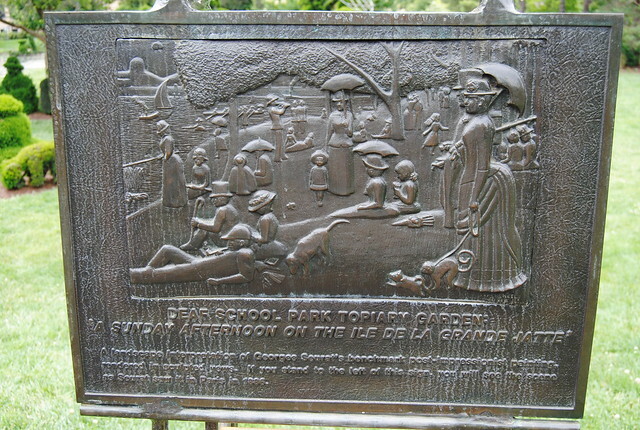 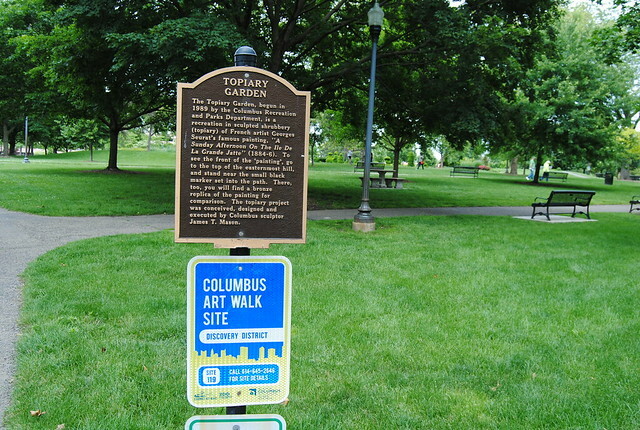 Visitors can take in this peculiar garden from a bronze plaque that marks the point-of-view of the original painting, or wander among the living sculptures, joining them in their picnicking, sunbathing, and general reverie. 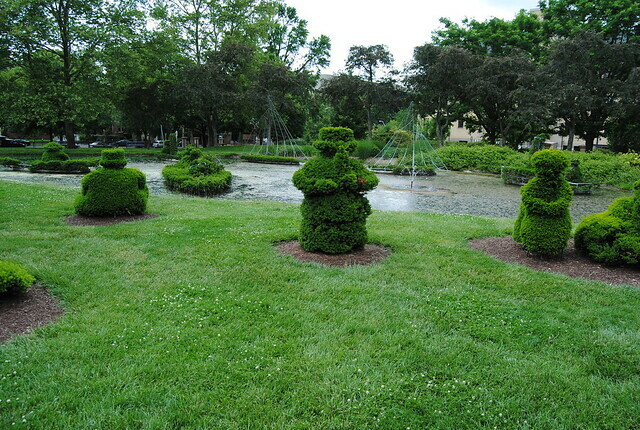 Topiary Park is—fairly specifically, and somewhat surprisingly—the only topiary representation of a painting in the world.